Isobar’s Marketing Intelligence Practice, the agency’s marketing research and analytics specialist, has launched their Mindsight Direct tool internationally, in seven countries, Canada, France, Germany, Italy, Japan, Spain and the UK. The segmentation and emotional measurement tool for understanding unconscious emotions provides globally validated image sets specific to markets for each study, with the ability to analyse audiences from Canada, France, Germany, Italy, Japan, Spain and the UK. An “in language” respondent experience and the ability to purchase quality/cost-effective market specific samples have also been built into the dashboard. Argentina, Australia, Brazil, Chile, China, Mexico and Russia are set to launch by the end of the year. The MindSight Direct custom dashboard offers easy access to ongoing studies and allows the user to export status reports at-a-glance and the option to duplicate previous studies or create new ones. In addition, Mindsight Direct offers clients 24/7 access to partial or completed study results. It delivers convenience, agility, and speed for cost-conscious clients while delivering actionable insights. With a patented rapid image exposure/response technique, Mindsight® collects data directly from the emotional part of the brain – before respondents have time to think about or edit their responses. It uses proprietary applied neuroscience technique, MindSight® to uncover critical market specific nuances and opportunities to unify marketing efforts. 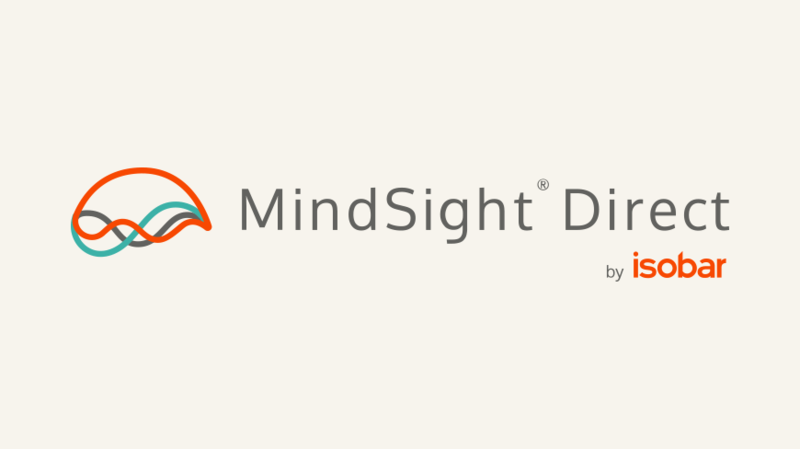 To learn more about MindSight Direct, and to create your own login and begin running your own studies today, please visit: mindsight.isobar.com or contact jessica.azoulay@isobar.com.